And heed our word, so mote it be. They will be blanketed by poisons everywhere they turn. The soft metals will cause them to lose their minds. Their minds will belong to us and they will do as we say. If they refuse we shall find ways to implement mind-altering technology into their lives. They will perform the labour for us and we shall prosper from their toil. They will bathe in their own blood and kill their neighbours for as long as we see fit. The tools will be provided by their labour. We will make them hate themselves and their neighbours. They must never know that colour is an illusion, they must always think they are not equal. We will use our media to control the flow of information and their sentiment in our favour. The recruits will be called "initiates" and will be indoctrinated to believe false rites of passage to higher realms. 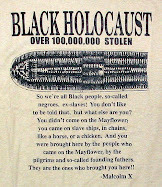 Members of these groups will think they are one with us never knowing the truth. 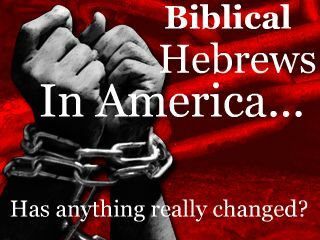 They must never learn this truth for they will turn against us. For their work they will be rewarded with earthly things and great titles, but never will they become immortal and join us, never will they receive the light and travel the stars. They will never reach the higher realms, for the killing of their own kind will prevent passage to the realm of enlightenment. This they will never know. 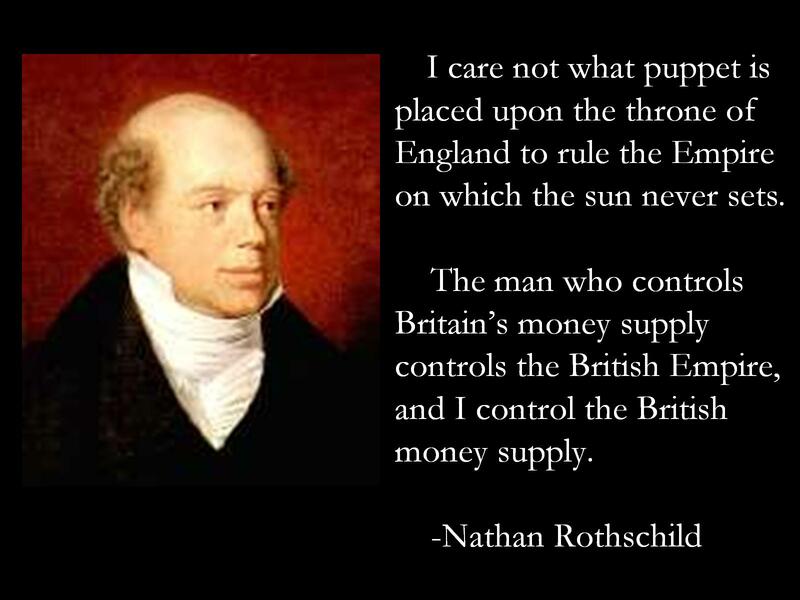 The Rothschild Family is perhaps the richest family on the planet. They control the majority of the world's weatlth; anywhere between 50 to 60%, perhaps more. Their modus operandi is sworn secrecy.They intermarry, thus consolidating the secret of their wealth in the family. 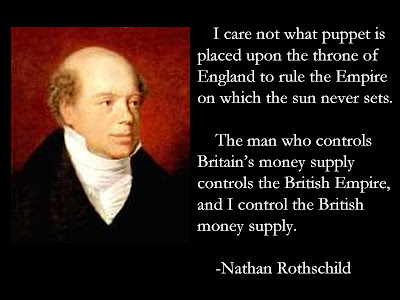 The Rothschilds funded and the founded the Illuminati in the United States. Their agent was Adam Weishaupt. They have major banking conglomerates in Monaco, Luxembourg, France, Switzerland, Liechtenstein, United Kingdom, and the Cayman Islands. And their ethnicity is Ashkenazi Jewish, as documented by Wikipedia. 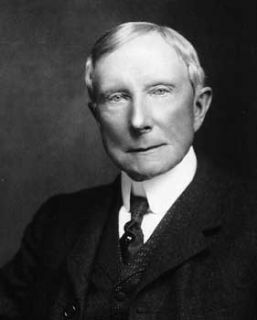 John D. Rockefeller established the Standard Oil Company in 1870 and aggressively ran it until he officially retired in 1897. Rockefeller supported and funded mind-control and population control initiatives throughout his tenure on earth. His family is a Rothschild front in the United States. The ethnicity of the Rockefeller Family is Sephardi Jewish, as documented in the limited edition book of 500 copies, Americans of Jewish Descent by Malcolm H. Stern. The book was privately published on heavy expensive stock, beautifully bound, and distributed to the Jewish elite. Editor's Note: The reader is also encouraged to read "The Protocols of Zion" as listed in the "Links" section of the webpage. The essence of both are authentic. I am not ultimately concerned with who wrote both pieces, instead the concern lies in what they are both saying, and how relevant they both are to the current state of affairs.